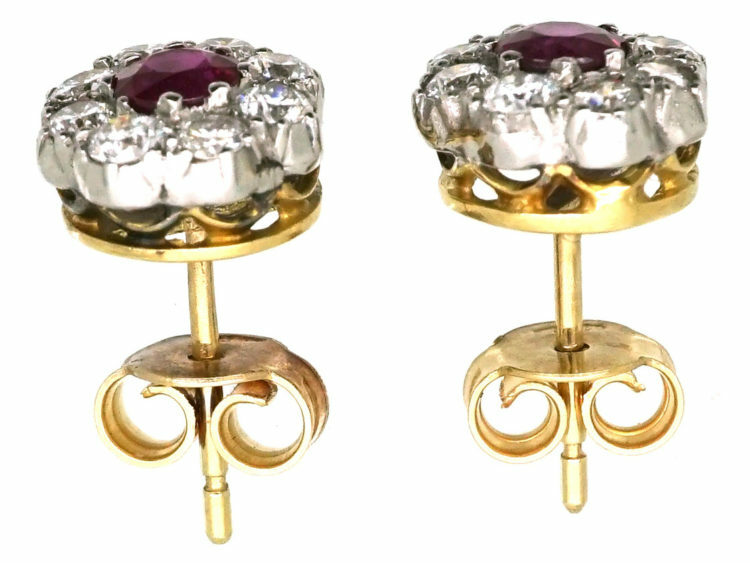 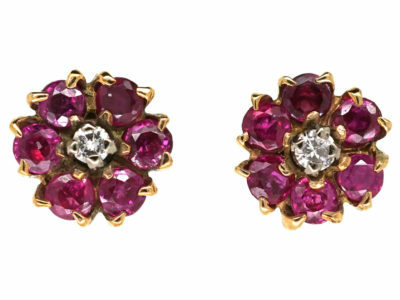 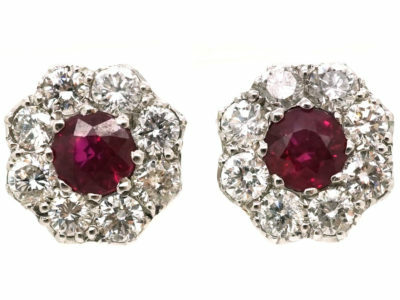 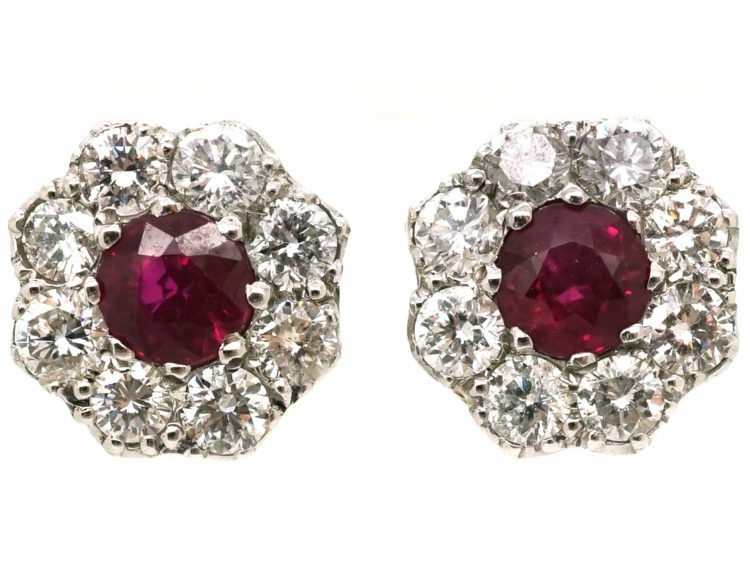 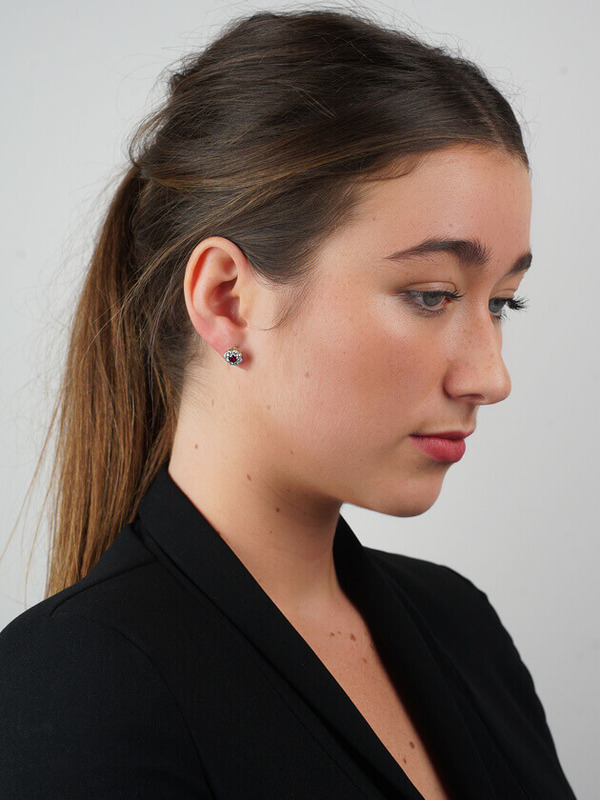 A lovely pair of ruby and diamond cluster earrings. 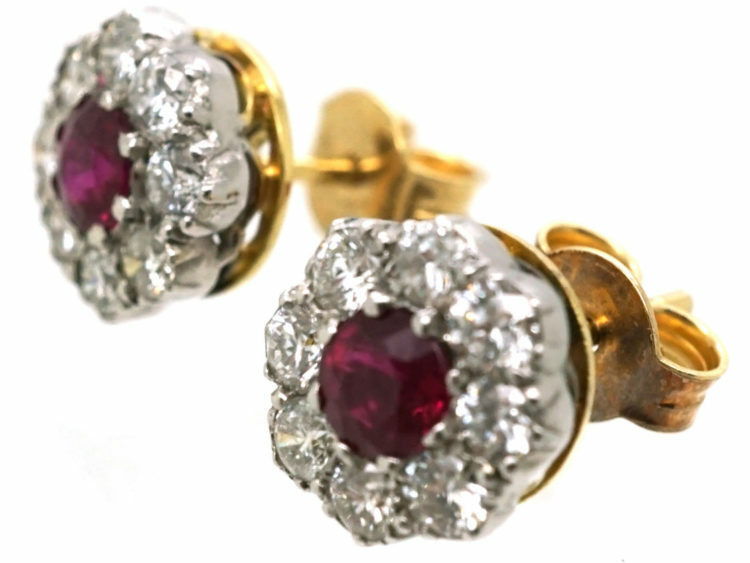 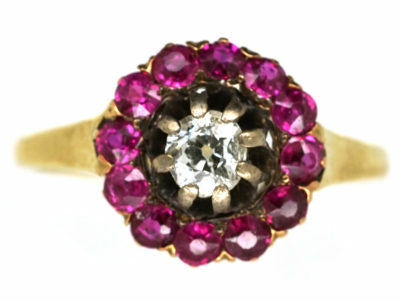 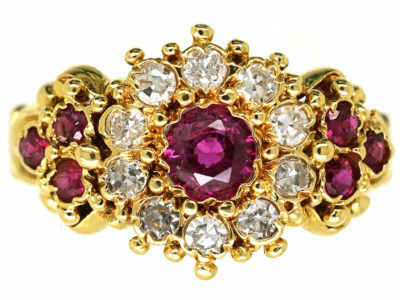 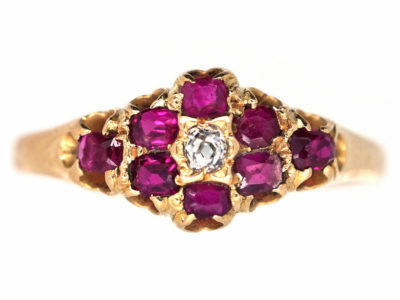 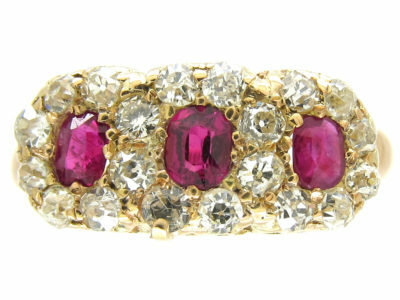 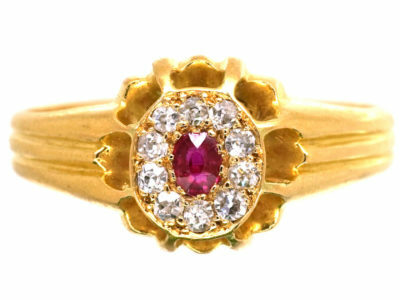 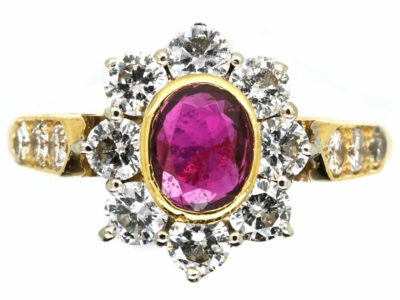 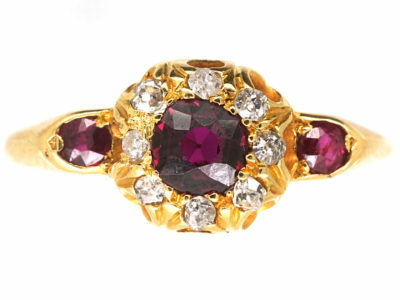 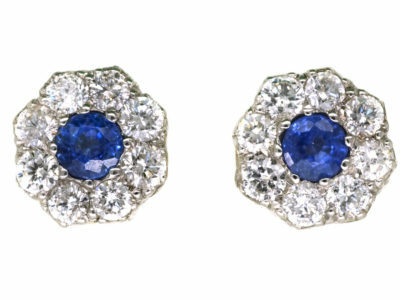 They have been set with two well matched and very red rubies. 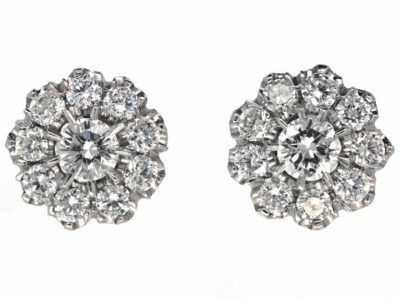 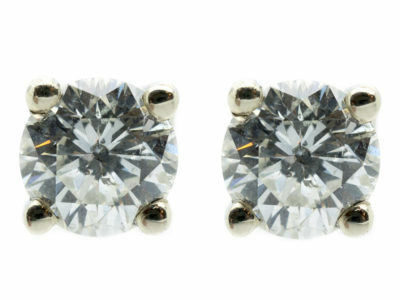 They are surrounded by good bright white diamonds. 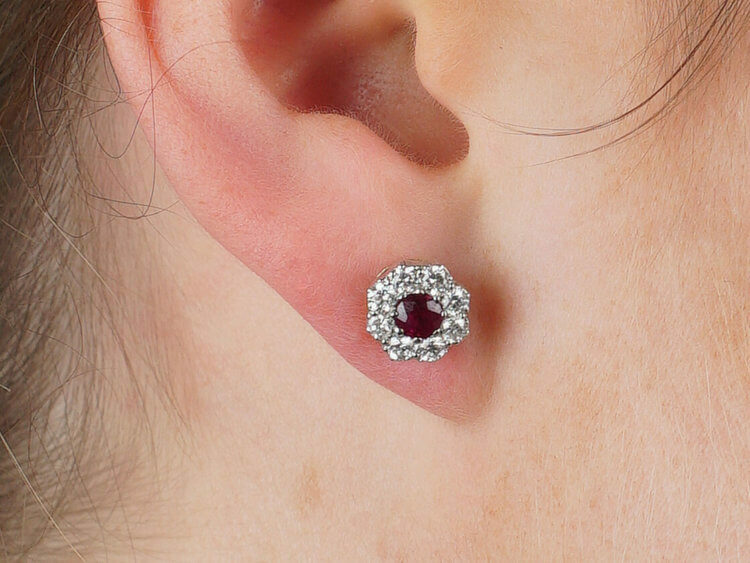 They sit low on the ear so they look neat. 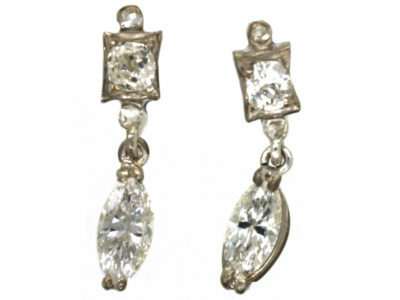 They would be very useful and can be worn day and night.